The Justice Department on Tuesday threw its support behind the Archdiocese of Washington in a court fight to have its Christmas fundraising ads displayed on D.C. buses. WASHINGTON (AP) — The Justice Department on Tuesday threw its support behind the Archdiocese of Washington in a court fight to have its Christmas fundraising ads displayed on D.C. buses. 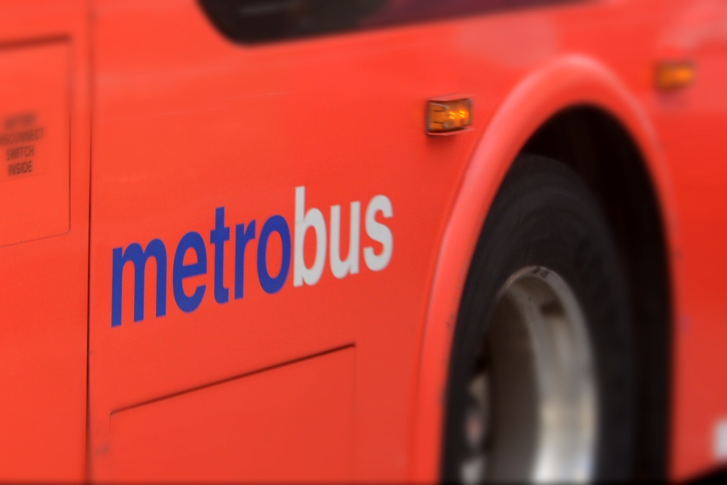 The archdiocese sued Metro in November, arguing the transit agency’s refusal to sell ad space violated its First Amendment rights. But a federal judge rejected its request to force Metro to post the ads, which showed a biblical Christmas scene and the message, “Find the Perfect Gift,” encouraging charitable donations and church attendance. The Justice Department’s Tuesday court filing calls Metro’s ban on ads that promote or oppose religion unconstitutional and urges an appeals court to overturn the judge’s decision. It’s in keeping with the Trump administration’s efforts to prioritize what it considers religious freedom cases, and comes after Attorney General Jeff Sessions in October issued a sweeping directive to government agencies to do as much as possible to accommodate those who say their religious freedoms are being violated. “As the Supreme Court has made clear, the First Amendment prohibits the government from discriminating against religious viewpoints,” Associate Attorney General Rachel Brand said in a statement. She said the transit agency engaged in “viewpoint discrimination” by allowing non-religious Christmas-themed ads but rejecting those from the archdiocese. The Justice Department said it expects to support other groups in similar cases.